Equally known for its miles of white-sand beaches and well-protected game reserves, this eastern Kenyan city hugs the Indian Ocean, making it the ideal destination for both surf and safari. Touched by centuries of colonization, Mombasa’s skyline is a collection of UNESCO designated Portuguese, Arab, and English architecture interspersed with modern hotels. Journey to Mvita—the central part of the city set on an island—by ferry or bridge to see Mombasa’s Old Town. 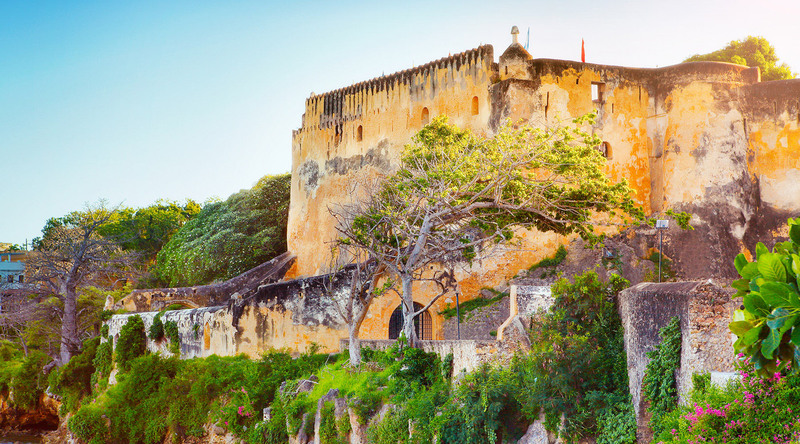 Dotted by ruins, this historical district is awash in Swahili architecture and romantic ambiance. Walk the Haile Selassie Road and peruse market stalls filled with colorful vintage textiles, street food, and souvenir shops. Wander outside the Old Town and cosmopolitan city center to explore the Leven Coral Reef in the Mombasa Marine National Park and Marine Reserve—a 200-square-kilometer diver’s paradise complete with three wrecks to visit. Take in the region’s rich mangrove forests with a river tour of Tudor Creek and Avicennia Island. Walk amongst friendly giants like giraffes at one of the city’s many parks. Relax and curl your toes in the sand at Shandzu Beach. Rent a bike and experience local life at Jomo Kenyatta Public Beach. Savor fresh grilled seafood as you watch the sunset from Bamburi Beach. Forget what you thought about Africa, this cruise to Mombasa, Kenya is beyond your wildest dreams. A UNESCO World Heritage Site since 2011, this 16th century Portuguese fort now stands as a museum that chronicles the structure’s past as a transit port for the slave trade, a British prison, and a stop along the Silk Road. See exhibits that include archeological finds, Arab military equipment, musical instruments, and a collection of 18th and 19th century cannons. Experience 75 hectares of stunning zoological gardens built on a former coral reef. Walk amongst free-roaming monkeys. Spy lanky giraffes, lazy hippos, and native reptiles. Be sure to pay a visit to the park’s famous residents: Owen and Mzee. An unlikely pair, this orphaned hippo and maternal turtle are a bonded duo that have been attracting visitors to Haller Park since 2004. All the excitement of a safari—on foot. The Ngunni Nature Sanctuary offers visitors the chance to experience the area’s many indigenous species without taking a multi-day safari. Encounter giraffes, elands, oryx, waterbucks, ostriches, and much more through the grasslands of the Nguu Tatu Hills. Pack a picnic and bring your tripod, there are sure to be many photo worthy moments. Journey to the remarkable Haller Nature Park where you'll view African species and witness an animal feeding. Indulge your senses and immerse yourself in the flavors of Mombasa during this Swahili-style cooking demonstration at the Serena Beach Hotel. Fly to the Maasai Mara National Reserve and embark on the safari adventure of a lifetime in a wilderness area known for its lions, leopards, cheetahs, elephants, hyenas, elephants, buffalos, hippos, and crocodiles. Take a chartered flight over Mount Kilimanjaro, Africa's highest peak, and the Great Rift Valley. 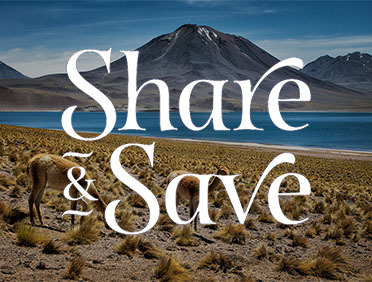 Your safari has been designed to maximize your wildlife-viewing opportunities. Take both an afternoon and a morning safari (on your second day), to see animals that are active during these times. Spend a beautiful evening in the Neptune Mara Rianta Luxury Camp, nestled in the Mara North Conservancy.